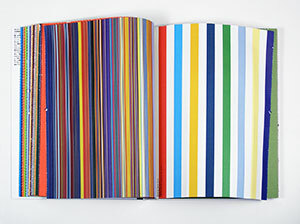 Kleur / Colour is based on the works of old and contemporary masters. 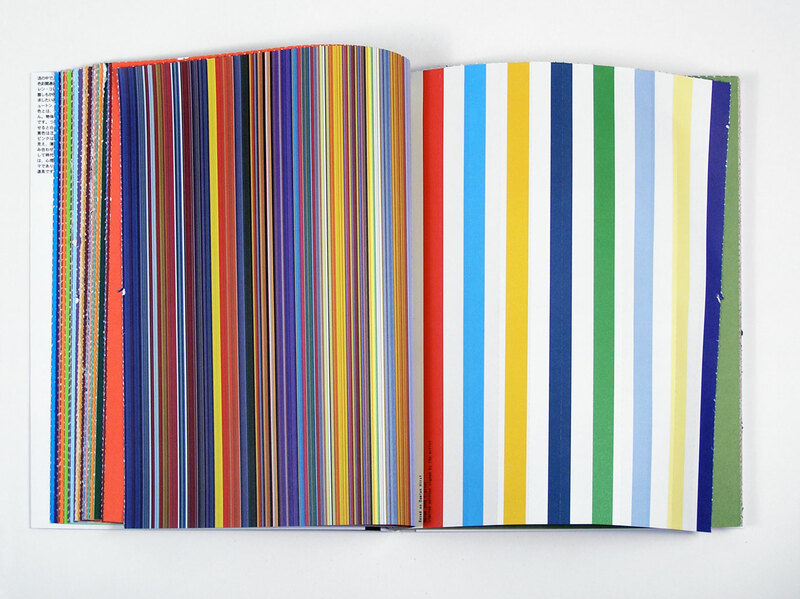 From Van Gogh, Dürer and Rembrandt to Warhol and Fontana, the paintings are translated into color diagrams which are in turn translated into vertical stripes. 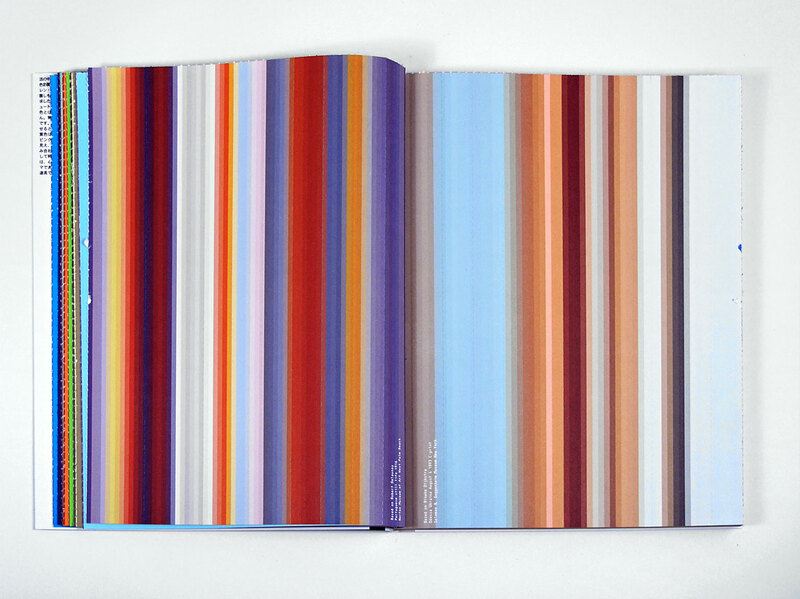 Vermeerl’s Kitchen Maid, for example, is transformed into an art barcode with unprecedented color effect and depth. 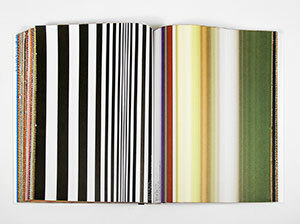 The programming reflects four centuries of art and the result is a series of images of dazzling stripes. 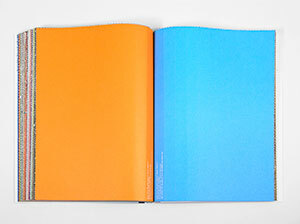 Back cover with a quote by philosopher Ludwig Wittgenstein. 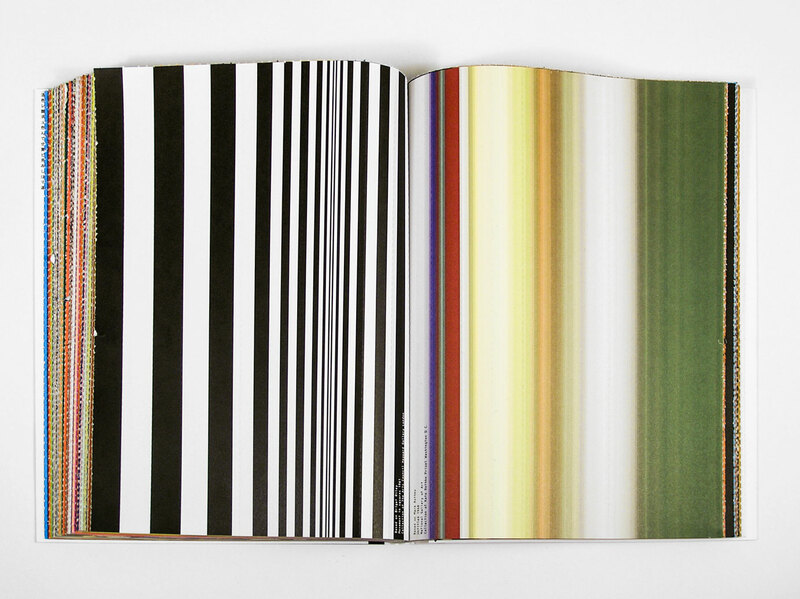 Spread with color diagrams based on Robert Delaunay’s Portuguese still life and Rineke Dijkstra’s Odessa, Ukraine, August 4, 1993. 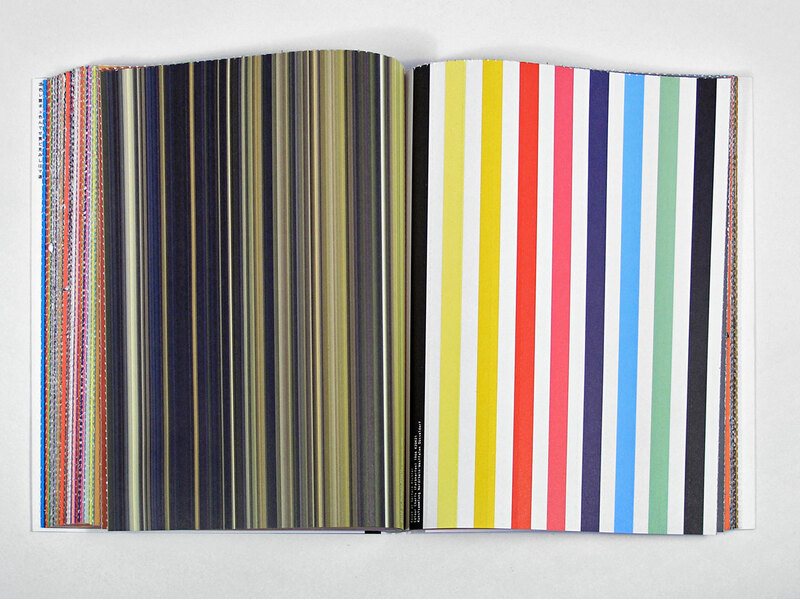 Spread with color diagrams based on Theo van Doesburg’s Contra-Construction Project and Albrecht Dürer’s Jesus among the doctors. 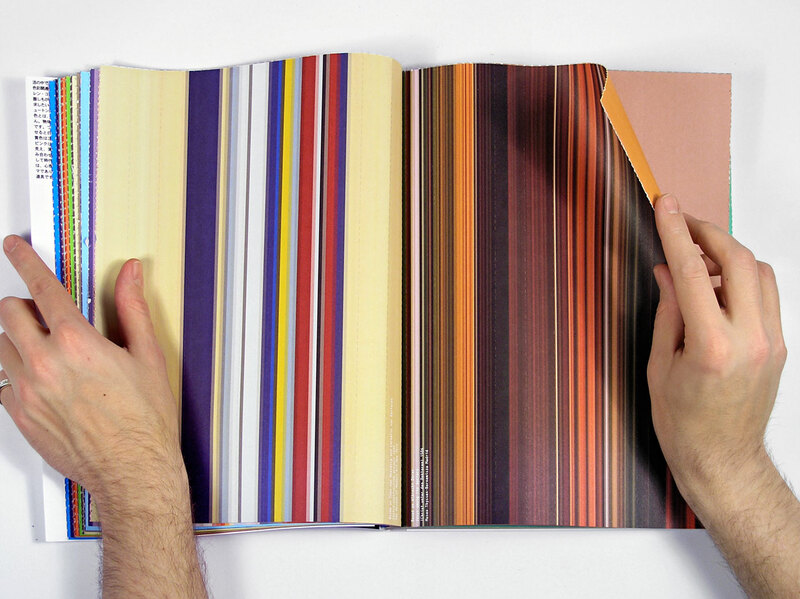 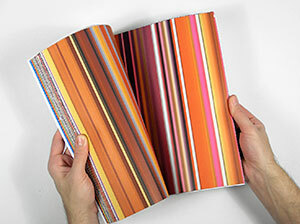 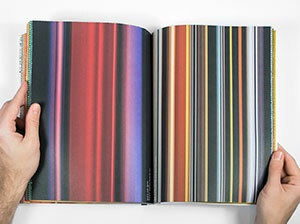 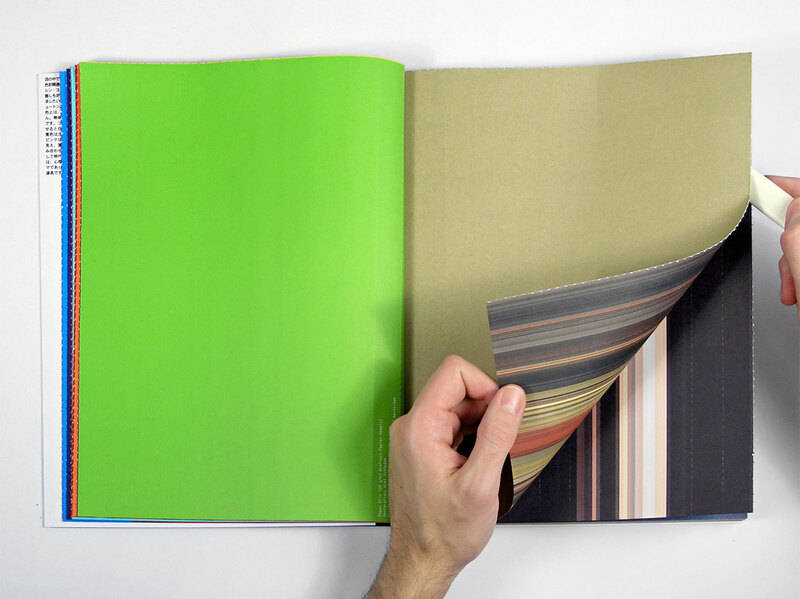 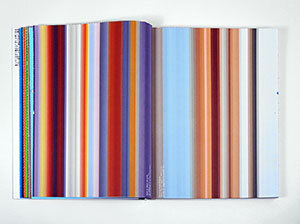 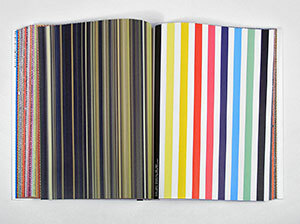 Spread with color diagrams based on Andreas Gursky’s 99 Cent and Damien Hirst’s Opium. 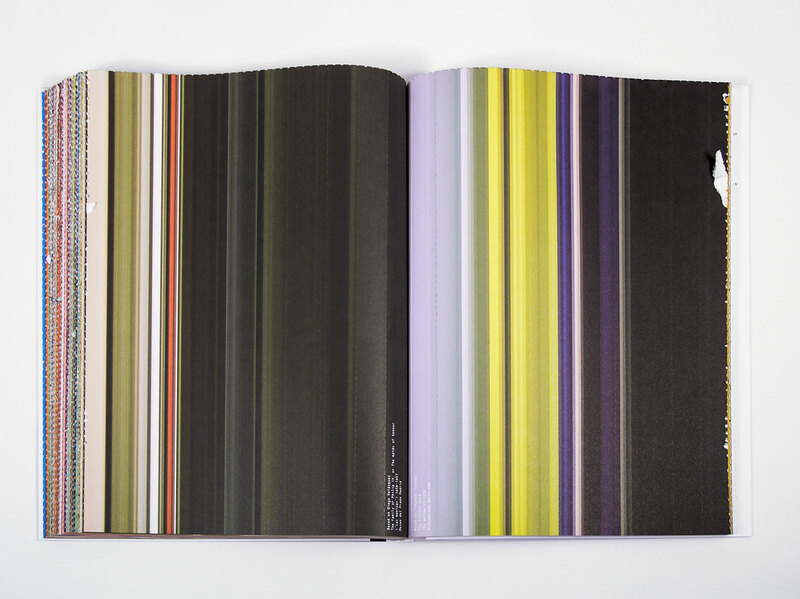 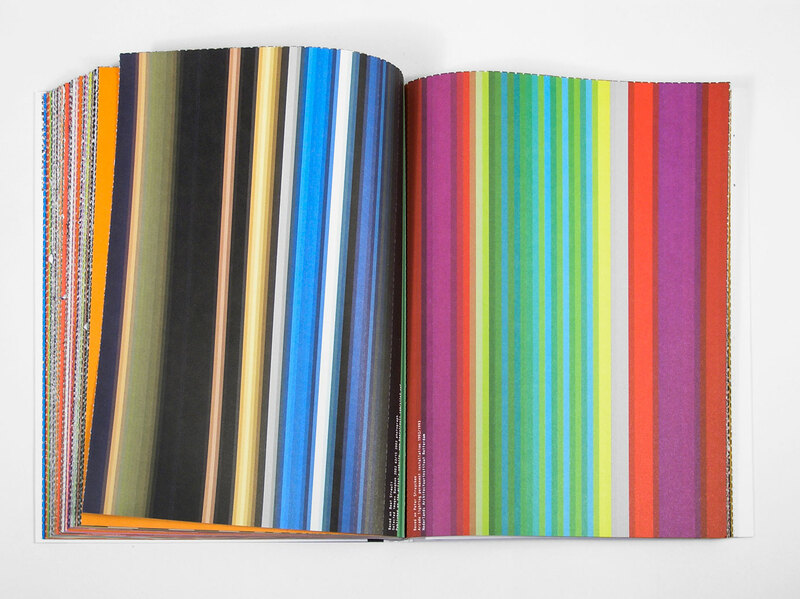 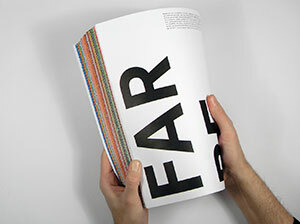 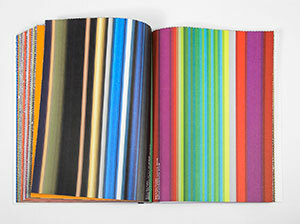 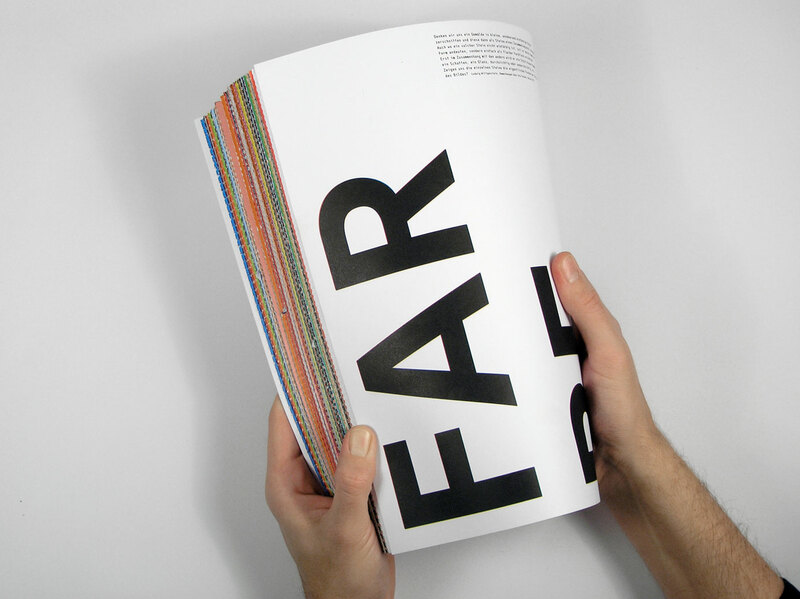 Spread with color diagrams based on Auguste Renoir’s Dance at Le Moulin de la Galette and Gerhard Richter’s Colour Charts. 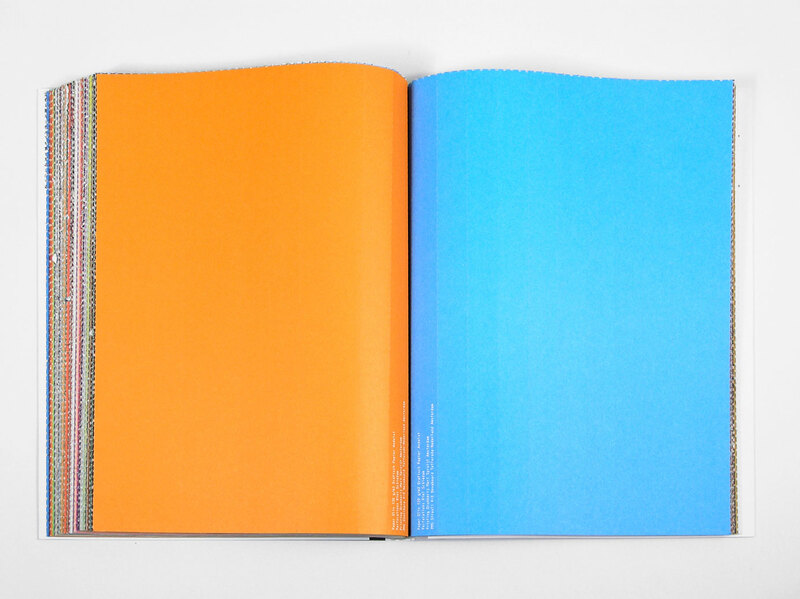 Spread with color diagrams based on Paul Klee’s Temple garden and Micha Klein’s Virtualistic vibes – Orange vision. 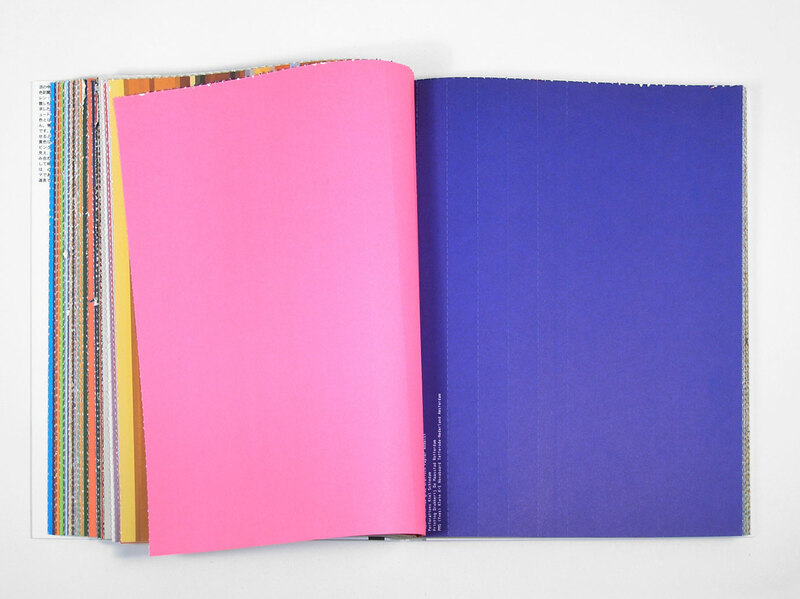 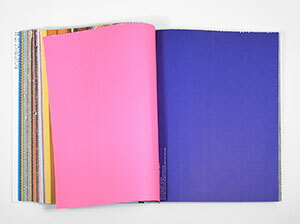 Spread with color diagrams based on Cindy Sherman’s Untitled #112 and Yinka Shonibare’s Diary of a Victorian dandy. Spread with color diagrams based on Bridget Riley’s Movement in squares and Mark Rothko’s Untitled from 1948. 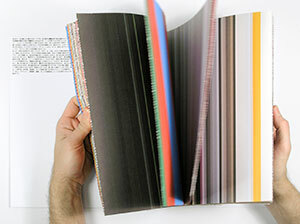 Spread with color diagrams based on Beat Streuli’s Selected images Bangkok 2002 62/15 and Peter Struycken’s Arcade lighting installation at the NAi in Rotterdam. 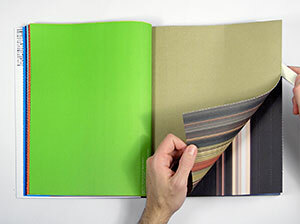 Spread with color diagrams based on Diego Velázquez’s Las Meninas and Johannes Vermeer’s The kitchen maid.